Moloch returns with a stunning new chapter of his dark electronic music crusade. This time he will take you to "The Other Side" with a darkwave horror EP to be released on Walpurgis Night 2018 on Via Nocturna. Almost 30 minutes of dark soundscapes and synthesiser hell in vein of 80's & 90's sci-fi B-movies. The single, track entitled "F.E.A.R." 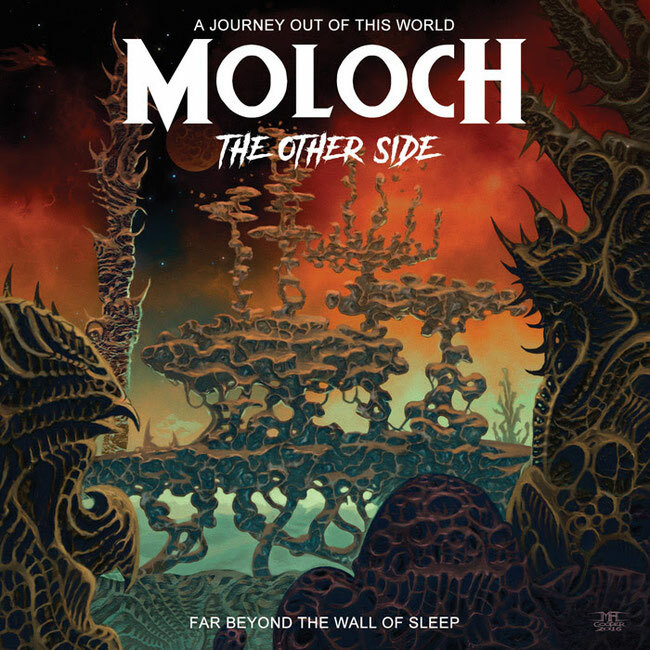 is a crushing darksynth track that's setting the tone for Moloch's new mini-opus as well as giving a glimpse of what you can expect on his upcoming live shows in August. The EP was released as a jewel case CD limited to 500 copies on April 30, 2018.